If you want to compare personal loan rates, there are several things that you need to consider. Comparing one loan to the next is not always as easy as it looks. You need to make sure that you read the fine print on any contract involving a personal loan interest rate. If you are not careful, you might find some things that surprise you. If you are looking at several different personal loan rates on different loans, here are a few things that you need to keep in mind to compare them accurately. One big thing that you need to look at is whether or not the rate you see is a promotional rate. 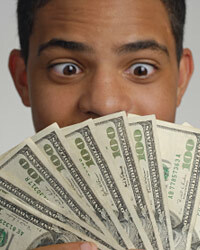 Lenders are notorious for offering promotional interest rates on loans. Many borrowers sign up for these loans thinking that the promotional interest rate they see is the interest rate for the entire loan. For example, they see an interest rate of 2% on the loan document. This is a promotional rate, but they think they are getting a 2% interest rate for the life of the loan. It turns out that after 6 months, the rate jumps to 8.99%. The monthly payment skyrockets and the loan becomes very unaffordable for them. Before you go with one rate over the next, make sure that you are dealing with an interest rate that is not promotional in nature. Make sure that you know what the interest rate will be for the main body of the loan. Something very similar to a promotional interest rate is an adjustable rate product. When you get an adjustable rate loan, you never know from one year to the next what the interest rate is going to be. With an adjustable rate loan, the interest rate is usually tied to an index that moves up and down. For example, it could be tied to the prime interest rate in the market. If prime goes up, your interest rate goes up as well. With many adjustable rate loans, you have a certain amount of time at the beginning that you get a low, fixed rate. Then after that, the rate opens up and becomes adjustable. Your payment could double if the rate goes up high enough. Be very careful with these types of interest rates as they could really cost you in the long run. Fixed interest rates are usually going to be your most desirable interest rate. With a fixed interest rate, you are going to get the same exact interest rate charged to you each and every year of the loan. Your monthly payment is always going to be exactly the same. You will not have to worry about the prime interest rate or anything else outside of your loan. These interest rates can give you a feeling of security and provide consistency. Before you sign up for any kind of interest rate, you need to make sure that you read the fine print and understand what you are signing.